Achieving beautiful, glowing skin may seem like an arduous (and costly!) journey that only really yields results for those who’ve won the genetic lottery, but the truth of the matter is that you just have to ask the professionals. The secret to vibrant, youthful skin is as simple as five tried-and-true methods that dermatologists swear by. Clogged pores, unsightly bumps, and bright red patches of skin are not just a vestige of your teenage years. It’s an unfortunate reality that acne plagues men and women at any age, and in many cases, lotions and cleansers just aren’t enough. In order to truly cleanse and purify your skin, you need to get down to your pores. Enter Isolaz (Solta Medical). This revolutionary device extracts excess oils, dead skin cells, blackheads, and debris with a miniature vacuum, while a broadband laser (also known as Intense Pulsed Light) zaps away acne-causing bacteria within the pores. Best of all, the treatment is painless and 100% non-invasive, leaving you to return to your everyday activities with the cleanest skin possible. Acne scars, sun damage, liver spots, and blemishes can detract from your natural beauty, leaving your skin tone uneven and your complexion dull. While countless moisturizers and serums promise to brighten and smooth your skin, they may only provide minimal results over a lengthy amount of time. The most effective solution dermatologists swear by? The Fraxel® Dual laser. This gentle fractional laser targets unwanted pigmentation and texture by creating thousands of minuscule cuts in the skin, triggering the natural healing process, and regenerating healthy skin cells. Sun spots, acne scars, enlarged pores, and even fine lines and wrinkles are safely zapped away with a significantly reduced recovery time than other laser treatments. You will see and feel the difference in your skin tone and texture in just one week! The best defense against the first signs of aging is a consistent and reliable offense. Fine lines and wrinkles begin to appear as we get older because our skin regeneration slows down with each passing year. Fortunately, it’s possible to jump start the process and keep your skin fresh and vibrant. Clear + Brilliant is a gentle laser resurfacing treatment that creates microscopic injuries in the skin, similar to Fraxel® Dual, kick starting cell regeneration and even collagen production for smooth, soft, and radiant skin. Clear + Brilliant is so gentle, yet effective, that it is ideal as a preventative measure against fine lines, uneven pigmentation, enlarged pores, and loss of volume. Even just one treatment will leave your skin vibrant, plump, and youthful. Over time, our skin loses its plump, elastic quality, causing it to sag and wrinkle. Rather than resorting to surgery, it is possible to firm and tighten the skin around your face and body with a revolutionary device called Thermage that uses only radiofrequency technology. This non-invasive treatment targets loose skin with unique monopolar capacitive radiofrequency waves that essentially heat the deeper layers of tissue and collagen fibers in the skin without harming the surface layers of skin. The radiofrequency waves tighten existing collagen while also stimulating the production of more collagen. As a result, Thermage not only provides immediate results, but the skin becomes visibly tighter and more toned over time as well. 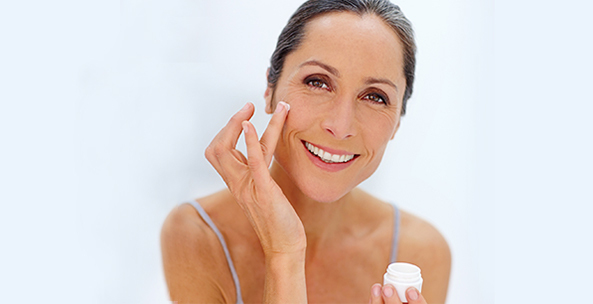 The most common signs of aging can often be attributed to the skin’s gradual decline in collagen and elastin production. Other factors, such as acne, sun exposure, and poor skin care routine, can contribute to wrinkles, pigmentation, enlarged pores, and loose skin, but without adequate collagen, the skin cannot maintain its youthful buoyancy. Fraxel laser treatments are highly effective for stimulating collagen production in the skin. Depending on the degree of collagen and volume loss, Fraxel Repair or Fraxel Restore may be the most effective solutions. 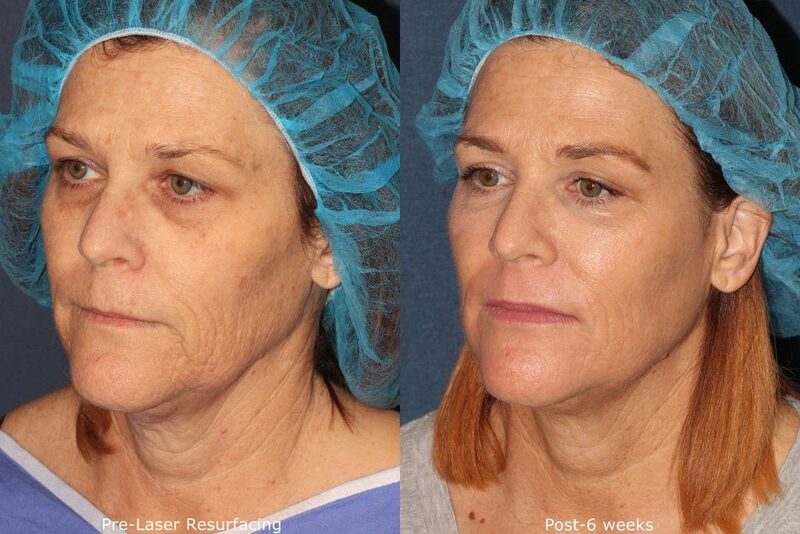 Fraxel Repair is an aggressive CO2 laser treatment that cuts through the skin at a microscopic level to induce collagen production and remodeling. The heat also helps tighten the skin. 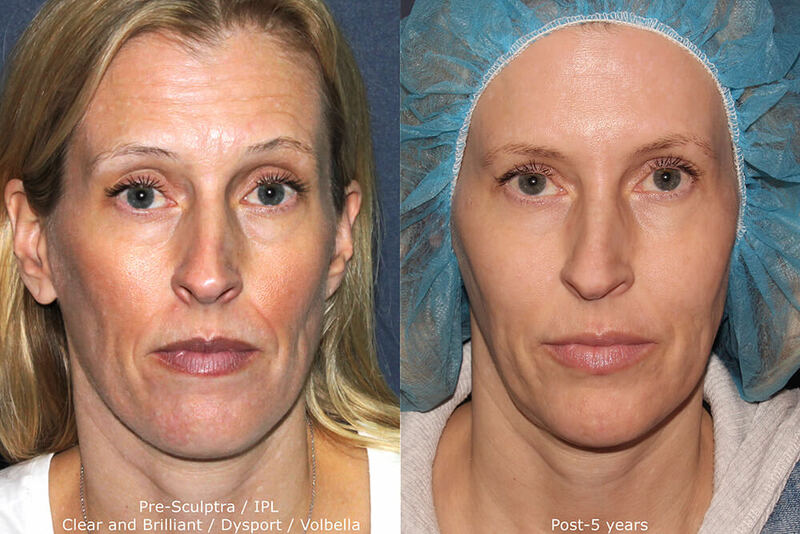 Scar tissue and wrinkles become noticeably softer and less visible following Fraxel Repair. Fraxel Restore, on the other hand, simply heats the deeper layers of skin tissue to stimulate similar results as Fraxel Repair, but on a much milder scale. Each of these treatments causes the skin to replenish its natural collagen for firm, toned results. By focusing on these five categories of skincare, you’re sure to achieve the flawless, younger-looking skin you’ve always dreamed of! With the right treatments and the regular maintenance, you can restore your skin and look like the best version of yourself. Please contact us to learn more about our skin-perfecting treatments and schedule a consultation at our state-of-the-art clinic in San Diego.